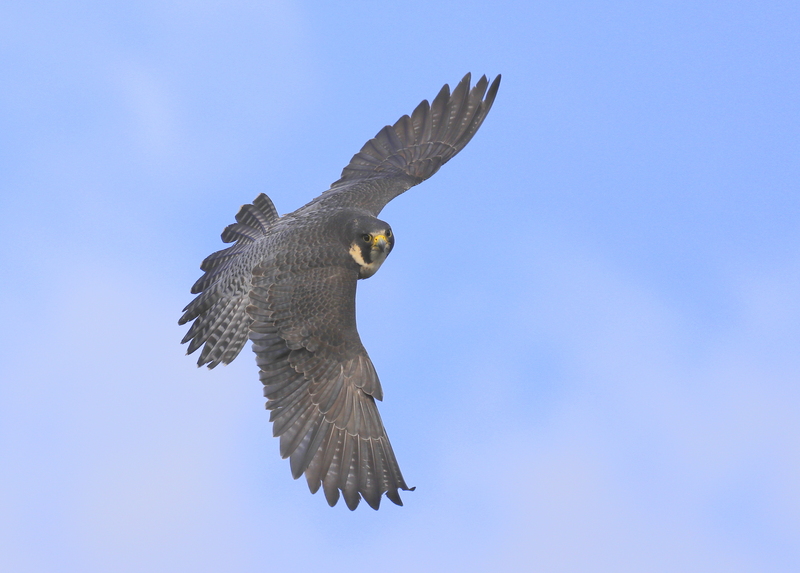 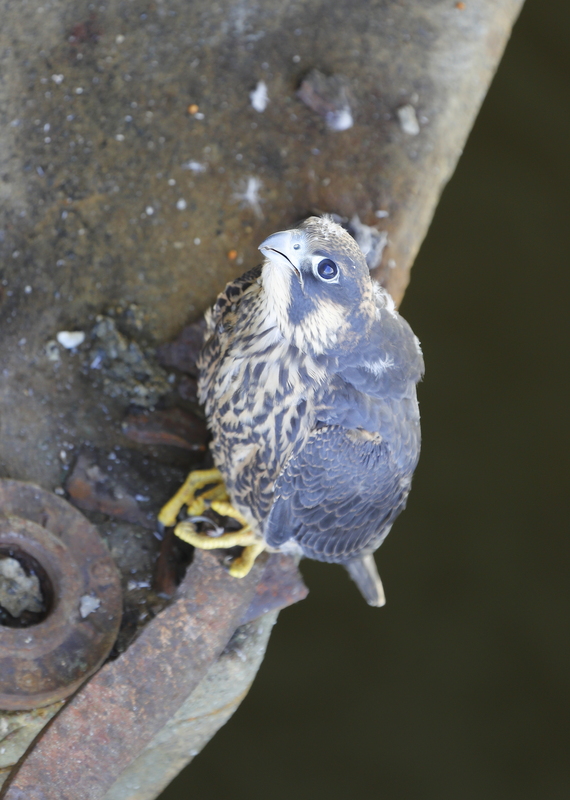 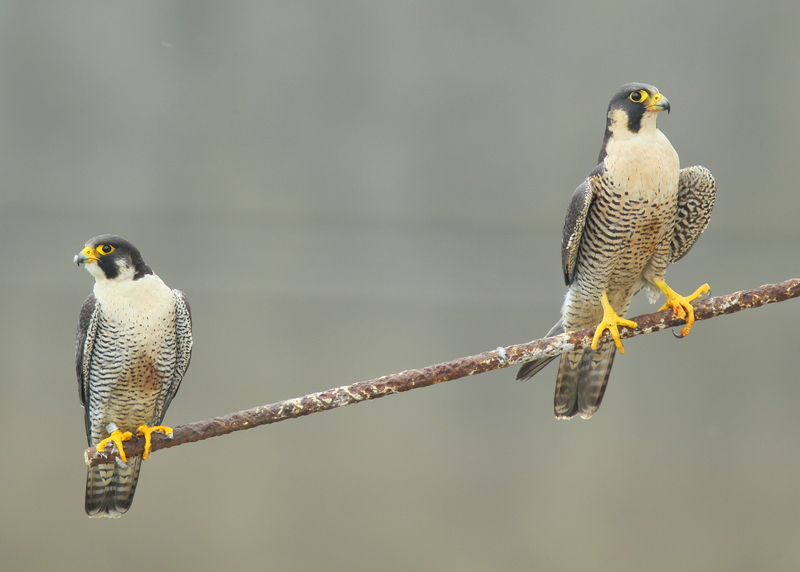 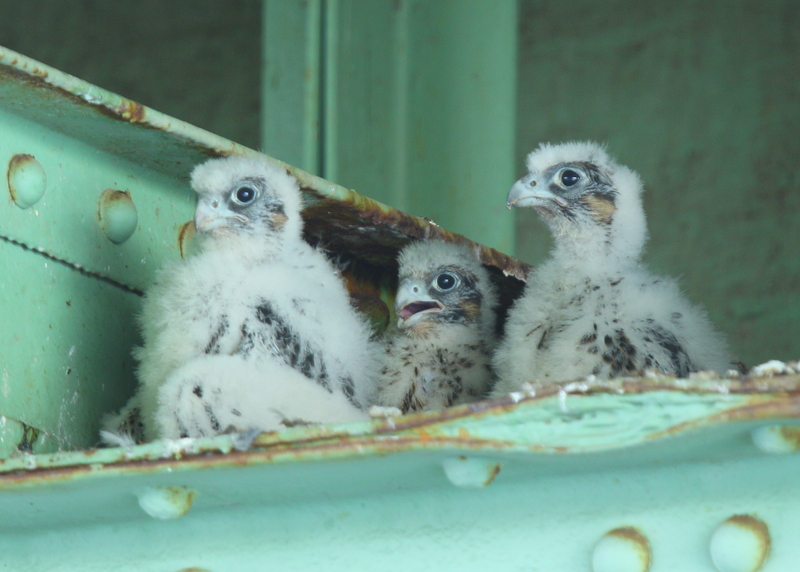 You are browsing the Blog for peregrine falcons haverhill. 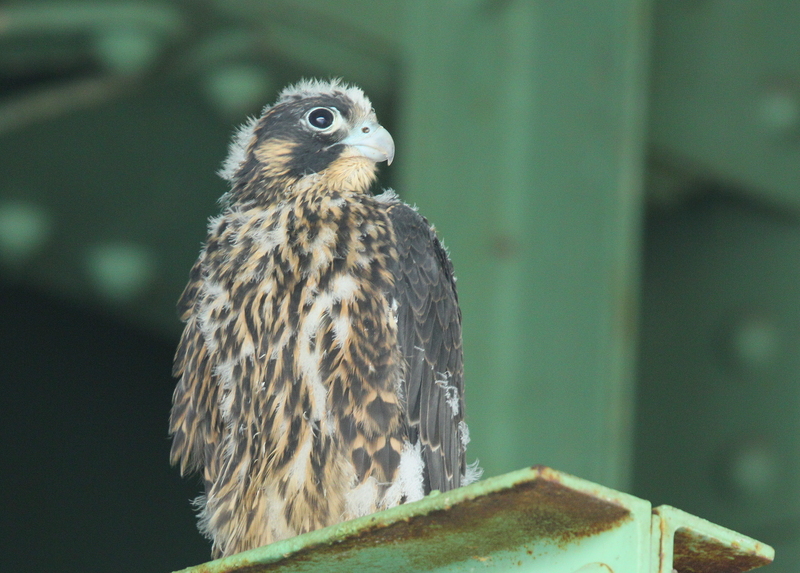 While making a short tour through Haverhill this afternoon, had a nice opportunity to locate one of the peregrine falcons perched on an air conditioning unit hanging outside a 7th floor window in the Bank of America building in downtown Haverhill. 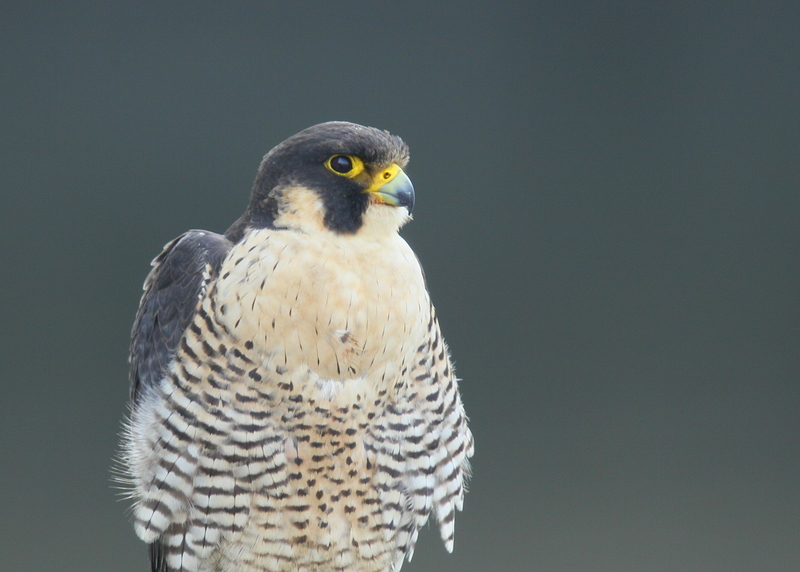 Was able to just observe for a while, then captured a few images. 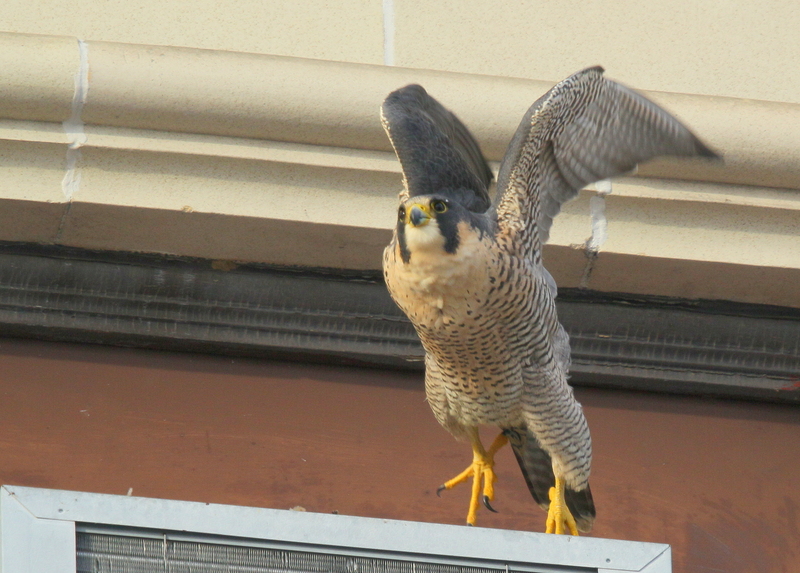 Bingo, the female flies around in a loop and lands on an adjacent AC unit, two windows over, same top floor. 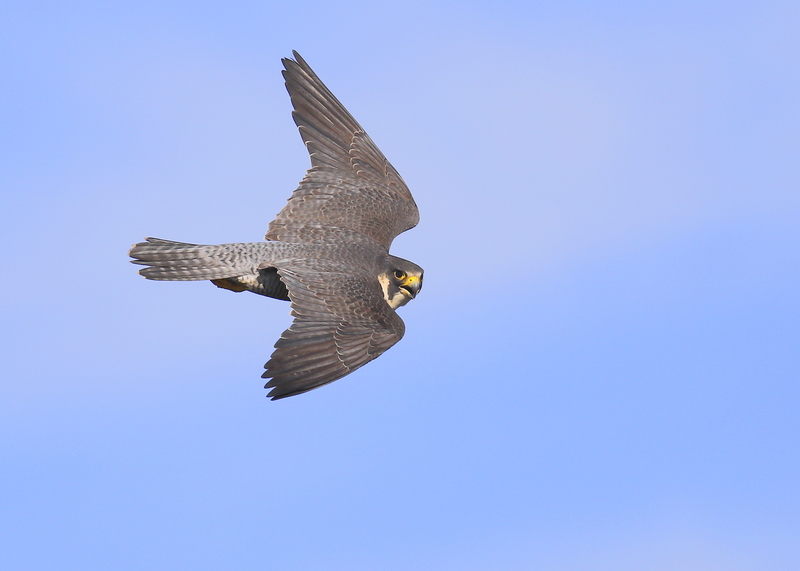 After a few minutes, the female took off quickly in pursuit!